Home The Blue-in-Green Sessions What's new? 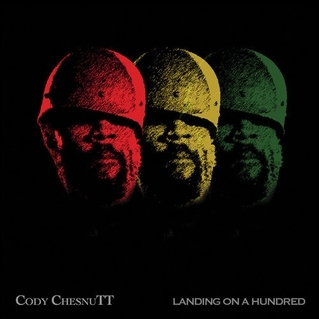 With like ten years since his recorded-in-his-bedroom-debut-album, ‘Headphone Masterpiece’, earned him his cult following, solidified by the invigorating collaboration with The Roots for ‘The Seed 2.0’, you do almost wonder whether ChesnuTT had missed the boat waiting this long to deliver his follow-up. Thankfully, that doesn’t seem to be have been the case as the release of his brand new album seems to have created all the same waves he was riding ten years ago. 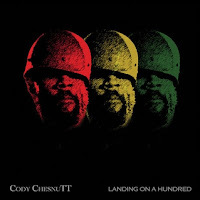 Anyone that’s actually heard ‘Headphone Masterpiece’ would probably have ached to hear such compositions (including my favourite, ‘No One Will’) brought to life by a full in-house band and ChesnuTT’s vocals are really brought to life in the studio, including a lavish string section to boot. Huge comparisons with some of Marvin Gaye’s best vocals are well-deserved, with standouts including ‘Til I Met Thee’, ‘Love Is More Than A Wedding Day’ and ‘Chips Down (No landfill)’. I initially heard of Kylie Auldist from a Tru Thoughts compilation entitled ‘Tru Thoughts Compilation’ (which I urge you to purchase if possible as it’s available on Amazon for a mere £2.11, and showcases the immense diversity the independent Brighton-based label has on offer). That compilation is actually helping me to expand upon my Tru Thoughts catalogue as the majority of it has simply revolved around Alice Russell, Spanky Wilson and the many guises of Quantic. 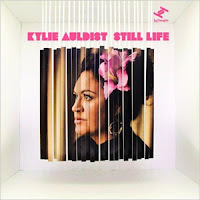 Kylie Auldist’s contribution was the Ashley Beedle remix of ‘In A Week In A Day’ which is a top tune and has subsequent led to me picking up her 2012 album ‘Still Life’. Truly an excellent, excellent album from the lead singer of The Bamboos, with a bit of funk, old-fashioned soul and bucket loads of personality. 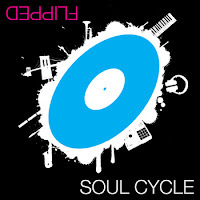 Tracks that have been getting loads of airplay on the show include ‘Changes’, ‘Night of Lies’ and ‘All In You’. 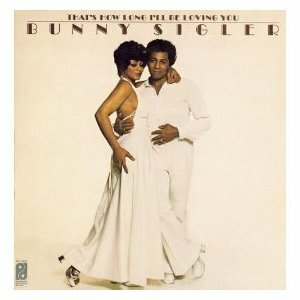 Prior to this album, the only recording I had of Bunny Sigler was his exquisite vocal contribution to the excellent (and considerably underrated) Larry Gold album, ‘Don Cello and Friends’ (2003), and the gorgeous song, ‘Can I’. It’s truly incredible which makes it even more baffling it’s taken the amount of years it’s taken for me to actually purchase a Bunny Sigler album. And I’ve opted for his very first one originally from 1974, but reissued with two bonus cuts in 2012, ‘That’s How Long I’ll Be Loving You’. Multi-instrumentalist and producer, this great slice of classic 70s Philadelphia soul, featuring his own version of The O’Jays’ ‘Love Train’ would make for a great purchase of Sigler’s music for you guys too! I totally – unintentionally – stumbled on to this release while on the hunt for new music from Saunders Sermons (we’ll talk more about him in upcoming posts), and not only found him appearing on the track list for this release, but also Melanie Charles (she’s brilliant!) and Rogiers. The album title ‘Flipped’ gives a slight hint to the theme of the album: cover versions, with Andre 3000’s ‘Prototype’ among the standouts, and the as-if-it-hasn’t-been-covered-enough-times selection of Stevie Wonder’s ‘My Cherie Amour’ (featuring the aforementioned Melanie Charles) ranking highly. Saunders Sermons appears on a track he previously covered on his own release (‘Classic Delight’), ‘In A Sentimental Mood’, but this version is a considerably more up-tempo R&B interpretation; but the show-stealer is the second Stevie Wonder selection of ‘I Can’t Help It’ by Mavis ‘Swan’ Poole which is terrific. Finding a hardcopy in the UK is near impossible so I ended up having to purchase it from the US website, CD Baby, who host a brilliant selection of independent music for your purchasing pleasure.